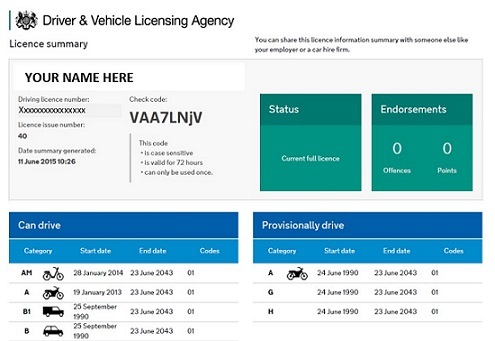 In order for us (Redhill Car and Van Hire) to verify your driving licence information, you will need to provide us with either a copy of your Licence Summary, or a unique “licence check code” enabling us to view your licence details online. 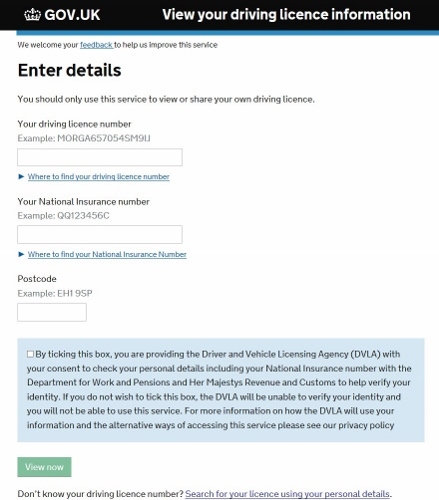 Alternatively, you can call DVLA on 0300 790 6801 (national rate from a land line) and leave permission for your driving record to be checked verbally by Redhill Car and Van Hire. 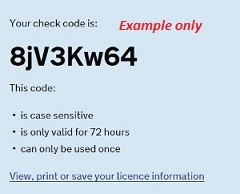 To download the DVLA pdf How to share your driving licence, click here.